Properly estimating the cost of capital requires matching the risks associated with the expected net cash flows with the appropriate discount rate. The 2017 Valuation Handbook  International Industry Cost of Capital is the definitive source of accurate, reliable, and timely industry–level cost of capital data in a global setting. 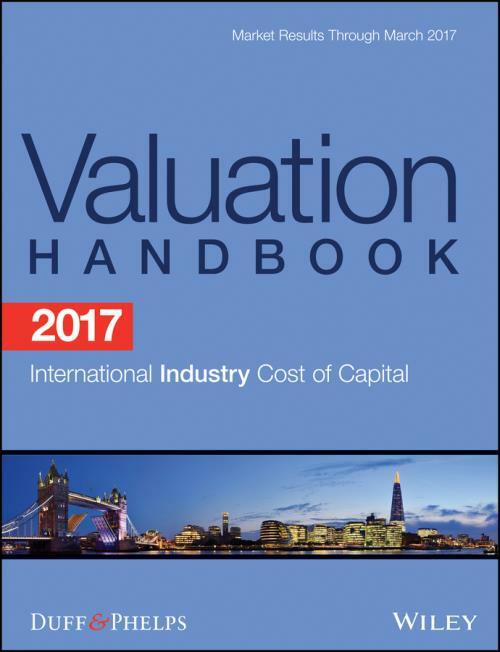 The 2017 Valuation Handbook  International Industry Cost of Capital is the fully updated annual reference that provides the industry–level data needed to develop cost of capital estimates on a global scale, and allows you to benchmark your cost of capital estimate for your subject company to the cost of capital of companies in the same industry and economic region, on a consistent currency basis. Part of the Duff & Phelps series of annual valuation resources, this publication provides the critical data and guidance financial professionals need when analyzing specific industries globally.